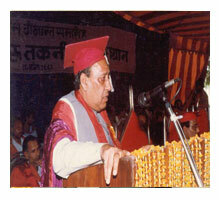 ::Kamla Nehru Group Of Institutions, Sultanpur U.P. Kamla Nehru Group of Institutions is one of the Best Institutions in Eastern Uttar Pradesh for MBA, Engineering, Pharmacy, Legal Studies and Other Courses. The Institution attracts students from all over India due to its excellent facilities and academics. KNGI established and run by the KNMT having exceptional experience and performance excellence of more than 43 years. Welcome to KNGI, Sultanpur U.P.